The spokesperson says the shut-down is ongoing and would be “reviewed throughout the day.” They did not say exactly which stations were affected. Shutting down Wi-Fi at London Tube stations is an unusual move for the British Transport Police. 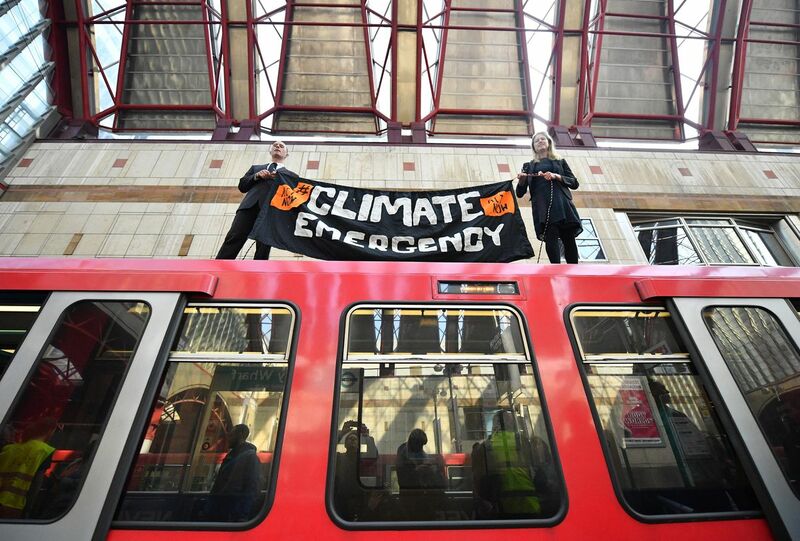 It’s not clear to what degree it would stop climate protestors coordinating, as the vast majority of DLR stations (the line targeted today by Extinction Rebellion) are above ground and have access to mobile networks. It’s also not clear what procedures police have to follow in order to affect a shut-down. A spokesperson for Virgin Media, the ISP that provides Wi-Fi in London Tube stations said only that the company had received an instruction from the police and had to comply.